Annual PMS review in Optician Magazine, compares Blink OMS directly with our competitors, including Optix, Ocuco, XeyeX & Opticabase. 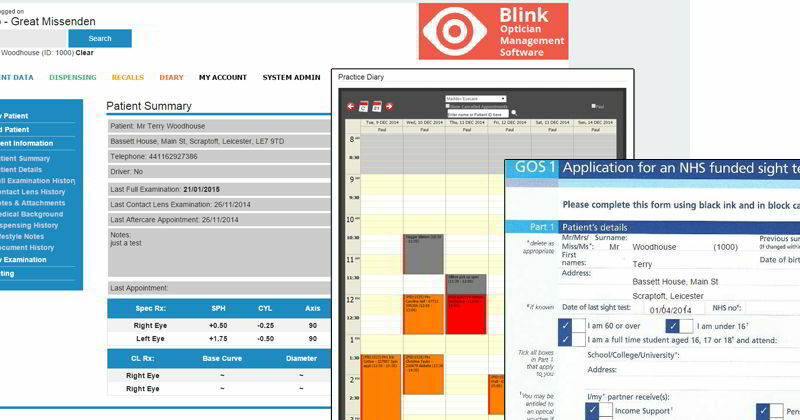 For the second year running Blink Optician Management Software has been featured in Optician Magazine’s annual review of the leading Practice Management Software packages in the UK. This article is a great way to find the best Software for your Opticians practice and to see at a glance how Blink compares with other systems. Of course, we think that Blink is the perfect choice for any independent optician, however, we would prefer you to make up your own mind and so to be featured alongside all of the leading software providers in the optical industry is great news. Cloud-based software licenced for use by a single practice. £75+VAT per month, which includes all system features. postcode lookup; SMS texting;training; online diary setup. Monthly fee includes email support, daily backups and regular system updates. Blink can be used on multiple devices within a practice, which includes any desktop/laptop computer, iOS/Android tablet or smartphone. A clinic diary can assist with appointment reminders by SMS or email. Real-time online diary so patients can book their own appointments. GOS form printing and batch printing of forms. Clinical features include a full examination record, with extensive clinical notes management. Document attachments to link images or scanned docs to a patient record. Also has full dispensing mode with predefined stock and price list. Quick dispensing mode, provides flexibility and reduced configuration time. Sales management keeps track of deposits and balance payments. Administration now has GDPR compliancy features, while patient and sales reporting provides vital performance indicators. GOS voucher management reports track which vouchers have been submitted and paid. Get the most out of Blink by integrating the appointment diary with your practice website – this enables real time appointment booking. Use it to assist with GDPR tasks – anonymise patients, export everything that the system knows about a patient, or report on the patients who have been inactive for over 10 years. Also, install the domiciliary add on that enables offline use of the system in case of connection issues.